Robert Potter, who allegedly pulled the weapon and fired a shot during an altercation with another customer Monday, had a prior felony conviction. 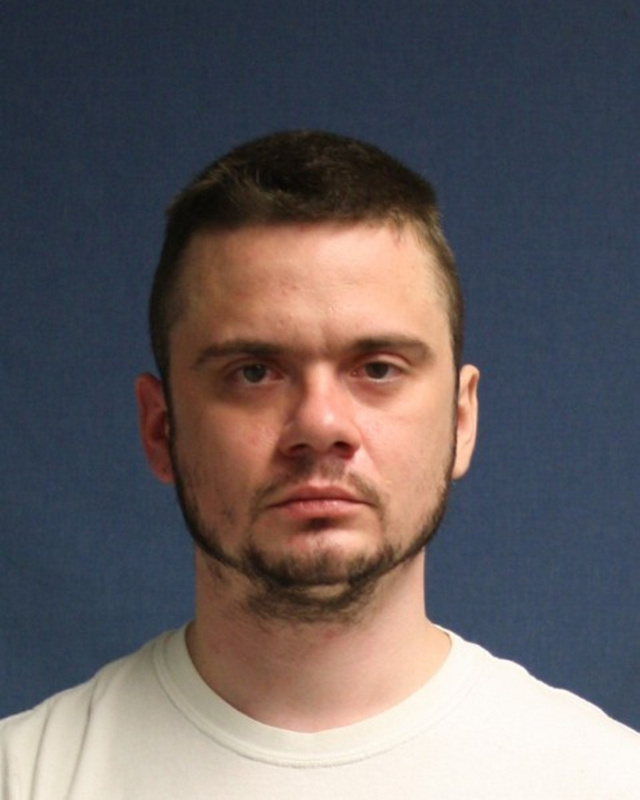 AUGUSTA — A criminal complaint filed Thursday against an Augusta man arrested after a violent altercation at the Augusta Walmart charges Robert Potter with criminal threatening with a dangerous weapon and possession of a firearm by a prohibited person. The complaint says Potter, 31, was convicted in January 2016 in Auburn Superior Court of domestic violence assault, which barred him from owning a firearm. Kennebec County District Attorney Maeghan Maloney said Thursday that Potter remains in Riverview Psychiatric Center for evaluation. Potter was taken into custody by Augusta police Monday night after a violent altercation in Walmart during which a gun was fired. A woman, who remains unidentified, apparently saw the confrontation and ran to her car in the parking lot. She suffered a medical problem and despite efforts to help her, she died at the scene. That death is being treated as a separate incident. The incident began when an Augusta man told Potter his boot lace was untied. Kevin Roberge said in an interview with the Kennebec Journal that he had noticed the man’s boot lace was untied and let him know it. That’s when the man started following him from the checkout area across to the Dunkin’ Donuts counter, where Roberge had planned to wait for a cab to take him home. He said the man, whose name he didn’t know at the time, grabbed his arm and shouted for Roberge to get on the ground. Instead, Roberge said he grabbed the barrel of the gun to keep it from being pointed at him, and he struggled with Potter until police arrived. During the struggle, a shot was fired. Roberge said it appeared Potter “wasn’t together, mentally,” and that when he was in police custody, he shouted out his name and rank. On Thursday, the Army confirmed that Potter had served from May 2008 to November 2012, with two deployments in Iraq. During his service, Potter earned awards including the Army Commendation Medal, the Army Achievement Medal, and the Iraq Campaign Medal with campaign star. While Potter specifically was banned from carrying a firearm because of his conviction on a domestic violence assault charge, he did not run afoul of Walmart policies by carrying it in the store. Walmart spokesman Charles Crowson said the company’s stores comply with all federal, state and local laws about carrying concealed weapons, and there is no prohibition at the Augusta Walmart store against carrying them.